Some eye injuries are very serious, including puncture wounds in the eye with globe rupture or a blowout fracture of the inferior bones of the orbit. Others don’t require a visit to the emergency room at all and can be safely treated at home or by seeing an eye doctor in order to prevent complications, including an eye infection. The following is a listing of common injuries to the eye. Some injuries are considered medical emergencies while others are not. The evaluation and treatment of these injuries are discussed so you can determine whether or not you need to see a healthcare professional or can manage the injury on your own. Don’t forget to follow through with commonsense eye injury protection ideas, such as wearing eye goggles or protective glasses when working at tasks that can cause injury to the eye. Corneal Abrasion (scratch on the eye). This involves getting a poke in the eye or having a foreign body in the eye that scratches across the cornea when you rub it. The cornea is the clear covering over the iris of the eye. When you get a corneal abrasion, the eye will become red, painful and you will have extreme sensitivity to exposure to light. Corneal abrasions usually require medical care to make sure there isn’t a foreign body in the eye and to prevent an infection of the eye. Scratches of the eye can make you prone to fungal or bacterial infections of the eye so, after evaluation, antibiotic drops are often used. Infections are especially common if the scratch was caused by something contaminated or very dirty. If you think you have gotten a scratch in your eye, you shouldn’t rub it. You shouldn’t put a patch on it either, even though bright light makes the pain worse. Bacteria tend to grow in places that are warm and dark so patching the eye can contribute to getting an infection. If you want to protect the eye, just keep it closed or tape an eye shield or paper cup to cover the eye. See a doctor as soon as you can to have the injury evaluated. Foreign objects in the eye. If you get metal in your eye or have a foreign object, such as a fish hook inside the eye, you need to seek medical attention immediately. You could injure your eye to a greater degree if you rub the eye or if you try to remove the foreign body by yourself. Tape a paper cup or eye shield over the eye before going to the emergency room. The cornea can have an imbedded foreign object in the tissue. Sometimes the foreign body hasn’t penetrated all the way into the anterior chamber of the eye. If the foreign body is a metallic foreign body, you can very easily get a rust ring around the metal imbedded in the eye. This can lead to infection and scarring of the eye. In such cases, the eye doctor must remove the foreign body and must remove any rust that has infiltrated the corneal tissue. Injuries from Foam Parties. There are injuries that can happen from having a foam party. In one foam party involving 350 people, more than fifty of them suffered skin and eye injuries from the bubbles that make up the foam. Typical symptoms of a foam injury to the eye include light sensitivity, redness of the eye, eye irritation, severe pain in the eye, pH imbalance of the eye, a foreign body sensation in the eye, blurry vision, and watery discharge from the eye. At the foam party mentioned above, some people were unable to open their eyes and couldn’t even read the big “E” at the top of the Snellen eye chart at their first visit to the emergency room. Seven people still had visual disturbances a month out from the time of their injury. In a foam party, soapy foam is sprayed out of blowers onto the dance floor before dancing and additional foam is emitted from the blowers at various periods after that. Foam sprayers use proprietary formulas so it isn’t clear what the substance was in the case of the party noted above that caused the eyes to become injured. If you are going to a foam party, you should wear eye protection, such as swimming goggles, or forego going to this kind of party altogether. Chemical burns of the eye. Caustic substances can cause serious injuries to the eye when they are splashed or sprayed into the eye. Most substances will just burn or sting the eye and are usually not dangerous overall, while others can result in a serious injury to the eye. 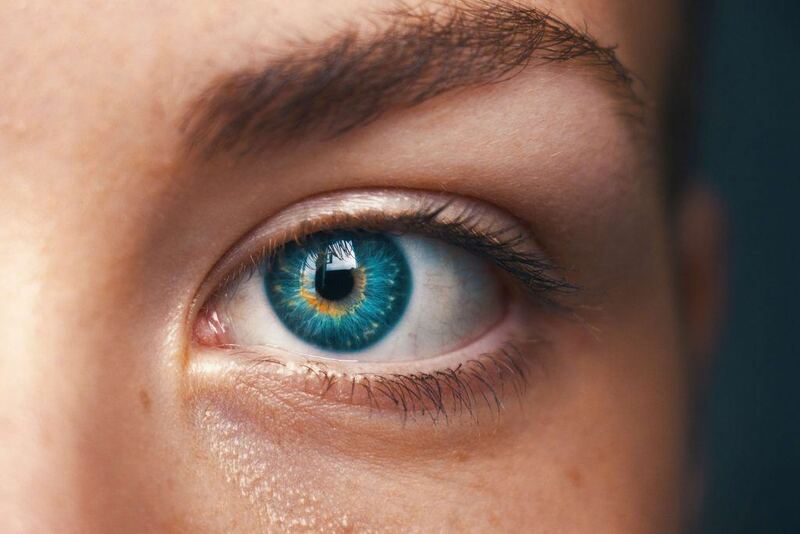 In the end, it is the pH of the substance that determines what ultimately happens to the eye. Acids, for example, can cause extreme redness and burning of the eye but are easily washed out of the eye. Alkali or basic substances are more dangerous if sprayed or splashed into the eye. They don’t cause as much burning or redness of the eye but can dissolve some of the eye tissue if not washed out immediately. Chemical burns can be caused by splashing or spraying a substance in the eye; however, you can transfer a caustic substance in the eye from having it on your hands and rubbing it in your eye. If you have gotten a caustic substance or other chemical in the eye, you need to put your eye into a stream of lukewarm water for at least fifteen minutes in order to get the liquid out of the surface of the eye. Go to an emergency room after that to receive definitive treatment for the eye injury. Make sure they know exactly what kind of substance it was that got into the eye and make sure they know what you’ve done for it so far. If the eye still hurts or is still red after flushing it with water or if you have continued blurry vision, seek medical attention right away so that they can further rinse the eye and evaluate it for corneal abrasions or corneal ulcerations from chemical exposure. You can put an ice pack or cold rag on your eye for comfort while on your way to the emergency room. An ice pack can control edema about the eye and can reduce the incidence of getting a black eye after an injury. Swelling of the eye. The eye can be puffy and swollen with swollen eyelids if you are struck in the eye by a blunt object, such as a baseball. The best treatment for such an injury is an ice pack applied to the eye to reduce swelling and bruising about the eye. If you are experiencing double vision or visual disturbances of the eye. Subconjunctival hemorrhage. This is one injury to the eye that actually looks worse than it really is. A subconjunctival hemorrhage comes from a blood vessel that has broken open between the white part of the eye and the clear covering over the white part. There is a splash of bright red blood where the white part of the eye should be as the blood spreads out over the space between the two layers. Subconjunctival hemorrhages are extremely common and can stem from a minor trauma to the eye. The blood can be in just one portion of the eye or can cover the entire white part of the eye (the sclera). It does not affect vision and usually does not hurt at all. There is no treatment for this type of injury and eventually the blood resorbs into the body and the eye is normal again. Traumatic Iritis. Traumatic iritis involves having an inflammation of the iris, which is the colored part of the eye. It can be caused by being poked in the eye or having a blunt trauma to the eye. Traumatic iritis is a serious eye condition that needs to be treated by an ophthalmologist with drops to decrease the inflammation of the eye. Even with proper treatment, however, you can suffer from permanent loss of vision in the effected eye. Hyphemas or Blowout Fractures. These are dangerous eye injuries. A hyphema involves blood in the anterior chamber of the eye, which is the fluid space between the iris and the cornea of the eye. It can be associated with a blowout fracture, which Is a break in the bones around the eye. The most common bone fractured in a blowout fracture is the one just beneath the eye because it is thin from having the maxillary sinus beneath the eye. Both a hyphema and a blowout fracture are medical emergencies requiring immediate medical care. They are usually the result of a blunt injury to the eye or face, such as getting hit by a hockey puck, a hockey stick, a baseball bat, or a baseball. Vision is affected. In a hyphema, vision will be blurry and, in the case of a blowout fracture, there will be double vision from the muscles around the eye getting trapped into the fractured space. If you sustain an eye injury and have eye pain or blurry vision, you should contact your eye doctor or go to an emergency room for further evaluation and management of the injury. In extreme situations, you should go to an emergency department and seek immediate attention. Be sure to tell the doctor if you wear contact lenses so they can be removed prior to the evaluation. Depending on the injury you have sustained, you may need to have your eye flushed out more or you may need to have some kind of surgical intervention. I’m Ed Smith. A Sacramento Eye Injury Lawyer. Call me anytime for free, friendly advice at 916.921.6400 in Sacramento. See on reviews on Yelp, Avvo, and Google.